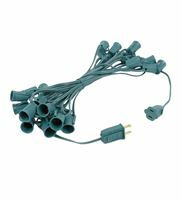 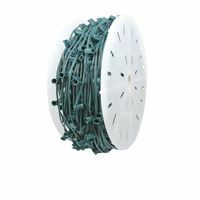 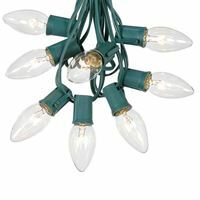 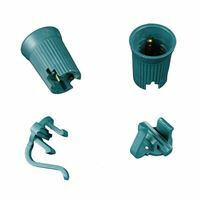 C9 bulbs and strings available in an assortment for different colors and types with C9 stringers on Green or White wire with different length and spacings. 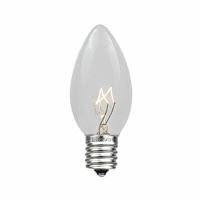 C9 incandescent Christmas lights have been the standard in holiday lighting for years and you may even remember C9 ceramic bulbs from your childhood. 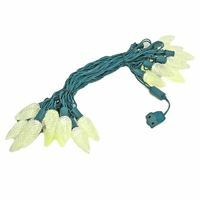 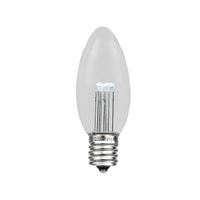 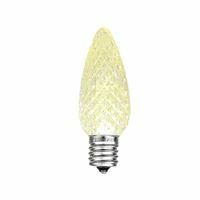 We offer a great selection of C9 bulbs, including single-color and multicolor sets of the nostalgic ceramic, transparent, and twinkling varieties to lighten up your holiday celebrations this year. 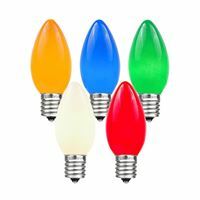 Bulbs are sold separately from the light strings, so that you can personalize your own bulb type and color scheme this holiday season. 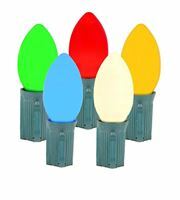 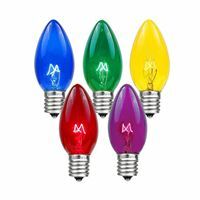 If you need our Christmas lighting experts to help you plan your purchase, please call 800-209-6122 or email us today!